For 58 years, the Boys & Girls Club has made a commitment to molding the lives of the youth we serve for a positive future. The Boys & Girls Club of Southwest Missouri is funded by local businesses and individuals committed to the success of today’s youth. Club Comingo is the largest fundraiser for the Boys & Girls Club. Priest Holmes is a former NFL running back who was originally signed by the Baltimore Ravens as an undrafted free agent in 1997. He earned a Super Bowl ring with the Ravens in Super Bowl XXXV. After rushing for just over 2,000 yards in four seasons in Baltimore, Holmes experienced breakout success after signing with the Kansas City Chiefs as a free agent in 2001. During his seven-year stint with the Chiefs, Holmes was a three-time All-Pro, three-time Pro Bowl selection and was named NFL Offensive Player of the Year in 2002. Holmes sat out the 2006 season with a neck injury, and in 2007 retired from the NFL. PFP Sports & Celebrity Talent Agency is a booking agent for motivational sports speakers and celebrities. 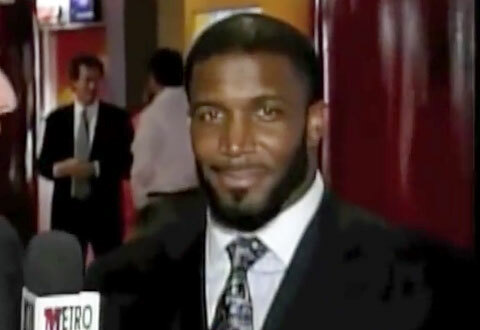 If you would like to book football speakers or NFL stars like Priest Holmes for a speaking engagement, personal appearance or special event, you can request Priest Holmes agent and speaker information from PFP Sports & Celebrity Talent or call 800.966.1380.